Today I did galdr with Nauðiz. Today I cleansed with the Eldest Ancestor, Fire. Today’s galdr was held before my altar to Rúnatýr and the Runevaettir. When I lit the candle, a white seven day candle, I made the Fire Prayer and thanked the Eldest Ancestor for cleansing me, purifying me for the work ahead. I then sat the candle on the ground in front of me throughout the galdr. In the first galdr in the round I was shown flint and steel coming together, sparks showering over collected tinder. My voice was croaking and throaty. I was in a snowy forest, and had dried tinder, and then larger pieces in the small circle of stones I had collected. I had larger pieces waiting beside the fireplace. The next galdr I was shown a firebow, the bow spinning in the board and a little coal smoking, being set to tinder, and fire coming up to eat the tinder, lapping against small sticks. The last galdr of the first round I was shown a small hand lighter lighting a cooking fire, a grill from the looks of it. I passed the candle around myself and thanked Fire for cleansing me, and breathed deeply to prepare for the next round of galdr. The first galdr of this round my voice was warm. I saw fire in an ancient style tent, in a longhouse, and in a fireplace. The second galdr of the second round, I saw food cooking in different places: a campfire, a hearthfire, and a modern grill. The third galdr of this round I saw various things being preserved in smoke such as meat and vegetables and fish, and then it moved into a good-sized pipe, not too long but certainly not small, being smoked. Again, I passed the candle around myself and thanked Fire for cleansing me. I breathed in and prepared for the last round of galdr. This time my voice was croaking and low, almost hissing. I could feel that this was the ways to deprive someone of what they needed, and each part of this round I saw different things denied to people. The fire in the hearth was cold and would not light. The fire was dead in the campfire and the food could not cook. The people gathered around a fire and another person was left in the cold, backs turned to him. Another vision and a door was shut and bolted against someone. The sparks would not light, the tinder would not catch. Hunger and cold, and freezing water. Disease in water. Then, as I finished the last part of the final galdr, I felt warmth again, and the candle before me seemed to glow a bit brighter. It was Nauðiz was reassuring me. I cleansed with the candle as before, thanking it for cleansing me. I then did my usual prayers to Rúnatýr and the Runevaettir, asking the Eldest Ancestor to help me come back to normal space as I blew out the candle, thanking the Eldest Ancestor. Next time I will snuff the candle; it is more respectful. I want to thank my good friend, Nick, who inspired me through his post hereon how networks and the self emerge. When I first began writing my response to his article I did not think it would unleash the torrent of writing it has. So, there’s going to be at least three parts to my reaction. The first will be a reaction to the article he cites, the second to thoughts on interconnection and the Soul Matrix inspired by the NPR article and his post, and the third will be a response to his post itself. It got me thinking on how I relate to these things as a Northern Tradition and Heathen polytheist. To go into the first part where he explores NPR’s 13.7 Cosmos and Culture Blog article,“Is Neuroscience Rediscovering the Soul?” I can tell you that, no, neuroscience is not rediscovering anything. Further, there is nothing adverse or knee-jerk about presupposing that the soul, or as in the Northern Tradition, parts of the soul are numinous. If anything, I find it deeply irritating that a science blog would lead with such a clickbait headline. Neuroscience is not really here to tell us anything in regards to spiritual experience or spiritual phenomena. The science is not equipped to. It can test claims and show what spiritual experience and phenomena express in terms of our reactionto them, but until and unless there is a method and way to measure, say, spiritual force or a way that science may identify the soul or soul parts, there’s not much use in this article using the word soul itself. Now, to be sure the questions the article raises are worth thinking about. But what if we revisit the definition of soul, abandoning its canonical meaning as the “spiritual or immaterial part of a human being or animal, regarded as immortal” for something more modern? What if we consider your soul as the sum total of your neurocognitive essence, your very specific brain signature, the unique neuronal connections, synapses, and flow of neurotransmitters that makes you you? However, I see no reason to revisit the definition of the soul. There are plenty enough words within our language to express and understand what it is that neuroscience is digging into without muddying theological orscientific waters with the understandings we have emerging from current scientific research and thought. To abandon the notion of a soul as something other than physical is not a threat in and of itself. My hugr, or thought, the part of my Soul Matrix that will stop upon my death because my thoughts will stop, will cease to be. However, my hugris not all I am. Certainly, if we consider the the soul “as the sum total of your neurocognitive essence, your very specific brain signature, the unique neuronal connections, synapses, and flow of neurotransmitters that makes you you?” then my hugr, my munr (memory)and possibly my lich, my body,would beall that I am. It denies the other parts of the Northern Tradition and Heathen Soul Matrix. This boils down the soul itself to a purely materialist concept, dispensing entirely with the numenous. It may make the concept of the soul more palatable to ‘modern’ people, but it is poor theology. It is like saying “All I am is my cells.” While strictly true in a physical, materialist sense, it belies the creativity with which I write, the life I lead. “What of my mind and my individual will?” for example, is a concept poorly explained in such a system. If indeed we have any notion that we are other than living in a mechanical, purely material universe, then this notion ignores our will, and the mind itself. If the concept of the soul merely boils down to “You being you is merely the result of your genetics, and the way your brain is formed and wired”, then it not only neuters the understanding of the soul, it outright destroys it. What use is the word soul at all if the meaning behind the word is rendered other than what it means? The author of the piece goes on to think about aging and the prolonging of life through the uploading of the ‘soul’. Can all this be reduced to information, such as to be replicated or uploaded into other-than-you substrates? That is, can we obtain sufficient information about this brain-body map so as to replicate it in other devices, be they machines or cloned biological replicas of your body? Again, this is the problem of science trying to take over ideas in religions. If science fields want to take words or concepts from religion, or if science bloggers want to take religious concepts out of their element and try to apply them to science, then there needs to be a clear reason to do so. The author’s assumptions only work if we accept the notion of the soul purely as a result of physical, material phenomena. Since I do not accept a purely material view of the soul, and the use of the word soul has no place in the field he’s talking about, then thinking about the soul in this manner, and reincarnation or redemption from the flesh simply does not make sense. What he is describing is transference of consciousness from one mode of life/living to another. There is no need to try to take the word soul, no need to grasp for religious words and concepts. There’s plenty that work for the phenomena he wants to talk about without appropriating religious words. Further, he is not even accurate. The redemption of the flesh is a Christian concept because Christianity views the body as being full of, or potentially full of sin. Transfering one’s spirit into another body would not stop such a theological view, nor would it resolve the sin the Christian is hoping to remove through accepting Christ as their Savior. However, it becomes pretty clear to me why he is using this kind of language, and trying to twist religious language to suit these concepts, as soon as the next paragraph comes up. Well, depending on who you talk to, this final transcendence of human into information is either around the corner — a logical step in our evolution — or an impossibility — a mad dream of people who can’t accept the inevitability of death, the transhumanist crowd. Transhumanism is “The belief or theory that the human race can evolve beyond its current physical and mental limitations, especially by means of science and technology.” Many of its central features sound a lot like Rapture-based Christianity: there is a coming moment or series of moments where we will Transcend this flesh, but through Science rather than Jesus. All ills can and will be cured, but instead of through faith in God, it is faith in and access to the right technology. Transhumanism is essentially as close to a salvation-based religion one can get while being devoid of religion. It is a secular, generally atheist view of the world while retaining a salvation/Rapture narrative. It is one of many secular worldviews that have emerged from Progress-based narratives, which themselves by and large have emerged out of Protestant theologies, such as Calvinism and Prosperity Gospel movements. Writing on transhumanism and similar outlooks from my view as a polytheist would be a whole other blog post on its own, so I’ll leave critiques and thoughts on transhumanism for another post. Google’s company Calico states right upfront thatits missionis to tackle “aging, one of life’s greatest mysteries.” The company’s approach is more one of prolonging life than of uploading yourself somewhere else, but in the end the key word that unites the different approaches is information. Another Google company, DeepMind,is bent on cracking AI: “Solve intelligence to make the world a better place.” Google is approaching the problem of death from both a genetic and a computational perspective. They clearly complement one another. Google is not alone, of course. There are many other companies working on similar projects and research. The race is on. Approaching death and aging as problems to be solved, rather than simply being part of the human condition, is one that I find worrying on a number of fronts. First among them is that I look at aging and dying as natural phenomena to be embraced among being a living being on this planet. We already see great problems with humans interrupting the natural life cycles of animals, plants, and indeed, entire interconnected systems of life through our intervention. In intervening in this fashion with our own makeup, assuming of course that we can advance our ability to age and stave off death at all, I really question what the consequences of such a thing will be. If we are seeing the impacts of ecological collapse on a number of fronts, especially getting faster and heavier since the dawn of the Industrial Age, what would be the point of prolonging human life? We extend a human’s life, thus extending its ability to consume resources that are already dwindling to grasp at a few more years? If we accept that the world is full of Gods and spirits, at what point do the concerns and rights of the Gods and spirits to exist override the desires of some to eternal life? Gods and spirits die. In the case of Gods of rivers, when the river dries up and disappears, that God could be said to have died. Likewise, the spirit or spirits of a river. I hold no illusions that Gods are incapable of dying and humans are indeed able to kill some of Them by our actions. An example from my own childhood is when the woods were bulldozed behind my neighborhood. Countless trees and plants, animals, insects, all dead to make room for more trailers. I have no doubt a great many landvaettir were killed. My reaction as a child to losing this place was grief, like grieving someone I lost. Because, in essence, I had. I had lost not only a safe place to explore, but I lost an entire world that I and my friends and brother had spent a great deal of time in. How much pain and grief will we, as a species, need to inflict on the world’s environments to achieve the extension of aging and staving off of death? How much pain and grief will we, as a species, be willing to accept so that we may extend our lives on and on? The other side of this, is how few of us will be able to enjoy this at all, on base line of fairness? Will it only be those investors in companies like Calico and DeepMind? Will it be only the workers and shareholders? Or will it, as is often the case with technological advancements, only in the hands of the most wealthy or rich? Exactly how much suffering will the rest of humanity be willing to endure so a few can enjoy an extended life? What of our leaders, and the implications for systems of democratic government in the face of what could threaten to unbalance the ultimate leveler: death? How many Gods and spirits are we willing to kill for a shot at a longer life? How much of the planet are we willing to bend till breaking so a few us can live a couple of more years? As a Northern Tradition Pagan and Heathen polytheist, the idea of interrupting something so fundamental as death is disturbing. Death should be something we welcome and develop a good relationship with, not somethingto be conquered or overcome. We have such a horrific relationship with death in our overculture already, with treatments to prolong the life upheld at all costs, including one’s death with dignity, andour treatment of the Dead as something to be avoided or that is ‘over there’,that this looks nothing less than a continuation of stigamtizing death and dying. Rather than approaching our end with dignity, care, and honor, this approach of elongating our lives or seeking immortality looks quite desparate and utopian. We’re born to life dying. Our end happens at some point. Far better, to my mind, that we greet death and our ends with care, dignity, and respect, than to seek out every method to elongate our existence. For Part 2 I’ll go into how this article made me think on relationships and interdependence in a Northern Tradition and Heathen view. One of the joys of having Nick as a friend is that his writing and his thoughts push me, myself, to think on how I view things and how I relate to things. As I am a polytheist, and being a polytheist also an animist, I think that there is a lot that we share in worldview and the consequences of our beliefs, even if we phrase them different or some of the minutae of our worldviews differ. Still, as an animist there is definitely a spiritual component to all the work that I do. I do think I have a spirit, a life essence, a life force; if you will. But I don’t think that my spirit is at all separate from my body. In some cosmologies, the spirit is not one piece, but a whole collection of different “spirits” in one body. What he refers to here as ‘my spirit’ I may think of as the lich, huge, munr, and ond, along with a few other soul parts depending on the context, such as hame and hamingja. I take a similar view; but on a much more biological scale. My body is the collective of countless numbers of individual cells, individual spiritual persons. I find this an interesting concept, because if this is the case there is a unification of purpose and order to the internal ‘universe’ of spirits that inhabit the body. It also has implications for my worship of Mitochondrial Eve and Chromosomal Adam as Ancestors. If I recognize these two as Ancestors, then it is not much of a stretch to say that my cells are each spirits in and of themselves. I take it to mean that, in this context, that Nick is not saying that each of these cell-spirits are determinative of their own form and function on their own, but exist in a rather more restricted space than I, both in terms of their field of choices for existence, and sentience. This does not strip them of being spirits at all; rather, that they/we are collectively ‘aimed’ towards a purpose. In the case of red blood cells, circulating oxygen so the larger spirit-driven flesh-vehicle can keep on living, and fulfill its own set of needs and influences on the world at large. In the case of white blood cells, these spirit-driven little bits of me/us fight off infection for the same reason. Together, they make something much greater than the sum of the parts. (We will come back to this later in this piece.) Yet there is something in there, a sum collective of all my energies and processes that is distinctly me. My body and my spirit are so deeply integrated and networked, that it’s not always clear where one ends and the other begins. Yet, we have differentiation from Sarenth’s cells and Sarenth the person, and I think this is something to take note of. I don’t necessarily think that Nick loses that point here, mind, I just want to be sure we do not mistake trees for forest. My cells are prerequisites for the functions of my body, as are the networks of relationship between various cells, organs, etc. Yet, in the Northern Tradition and Heathenry, I am not my heart metaphysically or physically. My heart is a part of me. I think that, though Sarenth’s cells and Sarenth the person overlap in the Venn diagram here, there is clear demarkation that I am not my cells, but rather, that my cells are my own and distinct from Nick’s cells and Nick’s person. Part of the reason I spent Part 1 of these posts exploring and taking apart Gleiser’s post, ‘Is Neuroscience Rediscovering the Soul?‘, is because I disagree with science communities or scientific writing taking over theological definitions when there is little-to-no reason to. If we are describing the soul, let us describe the soul. If we are describing the mind, let us describe the mind. Let us differentiate our language clearly, not because these realms never overlap, but so that we can be clear when they do, without muddying the specialized language and understanding of both. Meanwhile reading it made my skin crawl in a rather uncomfortable way, for reasons I described previous. Now, the idea of the mind being embodied and the self not being an isolated property but an emergent one of the mind-body integration is essentially taken as a given in the Northern Tradition and Heathenry. Of course identity comes out of one’s selfhood as in the godhi/gydhja, Ancestry, one’s spiritual communities, one’s actions within one’s community. The NT and Heathen religions assume an interconnectedness as part and parcel of existence, whether it is how our huge and munr develop. Our sense of self develops out of our various Soul Matrix parts into who we are in this incarnation. The lich lends itself to the mind-body connection as firmly as the more ephemeral Soul Matrix parts do. The thing I refer to as my “self” is really more of a collective of individuals than a single being. All the trillions of cells in my brain and body working in conjunction across masses of networks. That is my body as well as my soul. The Norse concept of hugr, a form of the spiritual “self” is a rather nice fit here. The hugr is considered to be the sum total of the mental life of an individual, and that is exactly what I think Gleiser is talking about. This is where Nick starts to lose me, and I acknowledge this could simply be a matter of phrasing. I understand the lich and huge or hugr as parts of the Soul Matrix, that ‘the soul’ as a whole in the Northern Tradition and Heathenry is made up of these souls/soul parts. In isolation, however, the huge would not be the same without a well-functioning lich to go with it. It is not that we are fundamentally disagreeing all that much here, except in that he is using the idea that these networks are ‘my body as well as my soul’ and that the word hugr fits this idea. It is the singular, that these networks of individuals form a single soul that is encapsulated in word hugr that I disagree with. It reads to me like the individuals existentent within the multiplicity of the Soul Matrix are, instead, fashioned into a singularity. It is at odds especially in regards to what I understand is a part of the Soul Matrix, itself a collection of different parts of, or different souls themselves. To have good hugr one must also have a good lich to go with it. Certain Soul Matrix pieces are interwoven with one another, and hugr and lich are among them. Yet, hugr is still hugr and lich still lich, and it would be a mistake to say they are one in the same when they are, in actuality, connected by individual. An example is hamingja, what is often referred to as group luck, power, or soul. It is what we inherit from our Ancestors, by blood, adoption, and/or spirit. We can appreciate that many, many generations worth of souls, certainly not all of them human, went into developing this when we inherit our hamingja, but it would be a mistake, I think, to look at hamingja as a singular thing given it has so many Beings that make it up. Yet our hamingja is also our own because we are the latest iteration of the Ancestors, so there is tension of a kind between the collective and singular, places where we certainly are differentiated, but we cannot be wholly separate, as we would not be without our past. Our stories, our environment, and our own makeup interacting and coming up with this thing we might call the spirit. That is just wonderful in so many ways. Absolutely, this is wonderful. As with our bodies, minds, cultures, and so on are the results of a million lives before us, and is impacted by our environment, so our spirit(s) develop from those who came before us. What is more, as with our bodies and the passing on of traits, or the passing on of how we understand the world, and/or our culture(s), we impact them and those who came before us in return. If we fail to tell the stories, they eventually fade. If we fail to pass on the culture, eventually it dies. If we pass these things on, they continue to live and become part of future generations. In reading Grönbech’s The Culture of the Teutons and having read quite a bit of lore on ancient German and Scandinavian societies, one of the things that continuously comes up is that these are tribal societies, and that identification of and with the tribe is part of being alive. To be outlawed is to be dead, or something worse than dead. Within the collective society of ancient Germanic and Scandinavian tribes, it was not that the individual completely disappeared, but that all one’s decisions, all one does or is, is reflected upon because what one does affects the tribe, and likewise, the tribe affects the individuals within it. The tribe was, as in the plant example above, affected the push and pull of various decisions and needs and wants that are expressed and addressed from within the network, the network in this case being the tribe. I told you we would come back to emergent properties and networked integration. When we consider our own bodies, we see huge networked complexes working together in both conflict and cooperation. Bacteria in our guts are working to help us digest our food, networked neurons are working to process the information from our senses, our heart muscles are working in a constant beat to keep the blood, nutrients and oxygen moving through our bodies. I think it is important to discern, though, that networked tasks and networked things, in this cases leaves within a plant or bacteria within the gut, does not make the leaf the plant nor the bacteria the gut. They are pieces of a whole that helps the whole to function, is indeed necessary for the whole to function well in their contexts. If we agree that a leaf and the cells that make it up are each souls within souls, that the soul of the leaf is made up with the cells that make that leaf up, with each leaf itself a part of the soul of the plant, at some point the collective emerges around forms and functions. It is at this point that the ‘leaf cells’ become leaves, and that leaves become part of the plant. Necessary to the plant being alive and propogating, but not the plant as a whole. The leaves emerge from the plant, and the plant from the seed. As Haskell points out, this kind of integration expands well beyond the individual human, but to maple trees, ecosystems, and the entire biosphere of the planet. Every collective being on this planet is networked, and from that networking new and fascinating forms emerge. Over the long course of evolution, individual cells have been experimenting with different collective networks, and that has given rise to every single living thing on this planet. ‘Collective networks’ functions well as a term if we’re just talking physical realms. There’s a word for this in the Northern Tradition and Heathenry, this tapestry of networked beings in the lattice work of all reality. It forms the ground of how we view ourselves, so that this idea is hardly alien. This is wyrd. Yet, unlike the networked beings and individuals described here, wyrd also takes into account spiritual impacts and phenomena. This is one of the places where I see the Venn diagram between science and religion crossing in terms of understanding some ways of interconnectedness. “Living networks are ancient, perhaps as old as life itself. Given our understanding of how life began, whether looking at this through the scientific lens of the Big Bang or through wyrd and the Creation Story, with the unfolding of Creation through the emergence of Muspelheim, Nifelheim from the Ginnungagap, I’d say that networks of interrelationship are older than life itself. That the building blocks of our reality rely on series after series of things relating between one another, whether in opposition, tension, or in concert. Interesting. In my exploration of ancient German and Scandinavian cultures, the fundamental unit of how we understood ourselves as people began in the plurality of tribe, clan, and/or family. The individual tribe/clan/family members were a temporary manifestation of relationship, carrying and passing on hamingja, for instance. This understanding of ‘network’ could easily be replaced with the word ‘community’, ‘tribe’, etc. The tribe is a plurality, and each person part of it. We invididually exist within it, functioning separately, yet together form a collective identity and being. If we consider the soul to be the sum total of all these connections, in our bodies and with our environment, something rather fascinating and terrifying starts to emerge. As a polytheist and animist with a particular worldview, I see that what Nick has laid out is quite well along my own lines of thought. Where I keep getting myself hung up is in disagreements with particulars, such as considering the sum total of a soul to be all of/in this world. “I do think I have a spirit, a life essence, a life force; if you will. But I don’t think that my spirit is at all separate from my body. In some cosmologies, the spirit is not one piece, but a whole collection of different “spirits” in one body. As I have explained many times before, animism is concerned with life living in relationships with each other. So if you think you have a spirit, a life essence, a life force, what is it? What forms does it take? Where did it originate from? Does it have a finite existence? If you do not believe your spirit is at all separate from your body, does it die along with your body? In other words, how would ghosts and spirits-after-death fit, if at all, into your cosmology? How does this fit into Ancestor worship and/or veneration (i.e. if the spirit dies with the body why rever/worship the Ancestors)? Do you believe that the spirit is one piece, or that it is a whole collection of different ‘spirits’ in one body? I’m intensely interested in your cosmology, especially because if spirit is bound to body, then if something does not have a body, then, does it not have a spirit? If animism is concerned with life living in relationship with each other does that preclude the numinous, or less body-bound realms of things? How does animism unfold as a, or part of, a religious point of view for you? What does animism of a worldview include, for you? What does it not include? Consider our relationships well beyond ourselves. Think about the sum total of all of our technology and the natural world around us. Take a look at our cities from space and ask yourself, what is emerging from our relationships with other beings on this planet? I am deeply curious to see how Nick would answer these things as well. I will below. In considering our relationships well beyond ourselves, I think we first need to think of what things are actually within our spheres of influence. If we think of our ability to impact the world as represented by bubbles, with the further out we go having more and more reach, my bubble would be quite limited to those in my immediate surroundings, those in my family, my religious communities, and communities otherwise. Even in how I buy and consume things, my impact as such is quite small in scale compared to a large corporation or the collective impact of the US government. After a while I stop considering relationships well beyond myself and the bubbles I can affect. My relationships with those outside of certain circles gets so tenuous and abstract that the ties I have to others are miniscule. In others they are nonexistant. This is one of the reasons I’m not as into Big Tent Paganism as others. It’s much like my view of being a US citizen. As with Pagans and issues particular to the communities we/they are part of, I care about the rights of all US citizens, but I’ll likely never interact with most of the folks out in California. I certainly won’t develop or keep up meaningful relationships with them. While my words may carry impact out there, I have only so much capacity within myself to develop meaningful relationships with those outside of my family and friends. I only have so much time to keep the relationships I do have. Since my energy and my attention are things that I have less and less of, between work, religious obligation, family obligations, and local community obligations, there’s not much time left over to develop deeper connections with folks outside of a couple of my bubbles where my time and attention goes. Think about the sum total of all of our technology and the natural world around us. Take a look at our cities from space and ask yourself, what is emerging from our relationships with other beings on this planet? The sum total of all our technology and the natural world is deeply out of step with one another. Our technology allows us to do amazing things, from the interconnectedness of the Internet to the generation of power so countless people have electricity, heat, and water, to beautiful pieces of art. Yet, I see so much technology now as being obsolescense for its own sake, or to increase someone’s bottom line at the expense of great swathes of this world, Earth, animal and plant alike. I see devices intentionally built to break. I see technology taking jobs once held by great swathes of people with nothing to replace them, leaving great stretches of this country destitute. I see great and small bodies of earth, water, and air poisoned by oil and gas, the production of our computers and cell phones. I see a world we will have a harder time living on and with because of the production and industries that bring up that oil and gas to burn so our electricity flows, the lights stay on, and our economies continue to be productive contributes to the very things that are rendering our planet less habitable to us. Looking at our cities from space I see systems that have deep need of repair, both in terms of how they function internally and how they relate to the natural world. I see great swathes of resources going to these places; we can see the light of them in space from the photo Nick has provided. As a whole our relationships with the Earth through cities have become fraught with taking increasing amounts of dwindling resources, whether that be water, oil, or gas. The growth of cities has been useful in allowing us to live on less land, but we have not fixed fundamental problems with how we, especially in America, deploy ourselves in the land. If the supply lines get cut off for 3 days LA essentially starves. Now, thankfully, there are people who are opening up places in LA and Detroit to community gardens and community agriculture. However, we have basic problems with infrastructure that must be addressed if cities are to continue to remain viable places to live. We operate our cities on incredibly complex, but very, very brittle systems of transport that are, increasingly, operating with less and less support for the infrastructure that makes them possible. I have serious doubts as to how long our cities will be viable in how we have developed them. In my own case I am developing good working relationships with my local earth, the earthvaettir, and landvaettir, vaettir otherwise, as well as the Gods and Ancestors. I am living as a good member of my society, providing for my family and developing ways to live in better concert with the Earth. I am doing all I can to be a living example in how I live with Her. I am pushing my local governments and cities to do more to get off of fossil fuels and generate our own energy through less environmentally destructive mean. I encourage people to explore their own local options, especially where their impact can be felt keener and firmer. This, I think, is a lot of where polytheism and animism meets our proverbial road in life. In how we live our lives. In our daily interactions with our Gods, Ancestors, vaettir, and one another. The worldviews of polytheism and animism informs how we understand ourselves in the world, how we identify within our human communities, and how we live our lives accordingly with the values we live by. The foundations of our worldviews tells us what we consider ‘alive’ and ‘ensouled’ how we live well with all that lives and souls within us, and around us. In thinking on Spirit, Networks, and Emergence, it has made me come once more to appreciate how fully embraced an existence predicated on interconnectivity the Northern Tradition and Heathenry are. We are beings formed not only wholly of ourselves, but between one another. Our sense of who we are, how we are, and what we are develops by immersion in group identity, in rejection of certain group identities, and in self-identity developed through, or in the absence of, relationships. Without a sense of ‘us’ there is no sense of ‘I’. This is made utterly clear in exploring the Soul Matrix. My lich, my body, looks and functions the way it does because of my genetic inheritance and the not-insignificant amount of time my folks spent with me in physical therapy as a young child. Had they not, I would definitely be bow-legged and far different now. My ham, my astral double or spirit form, because of the work I have done under my Gods, Ancestors, vaettir, and Elders’ guidance, as well as years of my own work. I inherited my understanding of this form first from my Catholic background and later, from my Pagan one. My litr, my health or blooming hue, my verve for life, I inherited from my folks and it grew well under their guidance. It continues now under my own care. My vili, my will, both in terms of its strength and development, was inherited through my parents, and developed throughout my life. Mod, or mood, our emotions, are interesting in this context. In many ways I have inherited our understanding of emotions, how I interact with them, and how I relate to them through my parents, Elders, and all of our cultures. Of the Soul Matrix parts, I find that my relationship with and to mod is deeply affected. For instance, the overculture of America encourages extreme stoicism or emotions like anger or rage over that of expressing annoyance, grief, pain, or horror. I have had to work through anger being a ‘safe’ emotion vs. that of, say, openly grieving or just being disappointed. I directly inherited my ond, first from my mother, and then from anyone and everyone who comes into my life and shares the air with me. I mean this both literally and religiously, as ond translates to ‘breath’. If someone poisons my ability to gather my vitality and energies, or who is so close it is hard to breathe, that is an intrusion on my ability to live with vitality. Likewise, those who aid in my ability to breathe well can breathe well with me. My hyge and munr, thought and memory respectively, rely on my abilities to build them up and keep them built up so that hyge flows into munr. Hyge, being connected with how I think, and munr, with how I retain information, are both deeply informed by how my family processed and retained information. As the USA is not an oral culture, much of what we do have is preserved in written records. This is a vast difference between the ancient Germanic and Scandinavian peoples my religion flows from, namely in that I, and most of my fellow NT and Heathen people, do not have the same cognitive processes and retention of information our Ancestors did. Rather than dedicating memory as, say, a lawspeaker to remembering the law, or the myths and legends to be recited as a skald, we now look to books so we can access the information. What we retain from that reading is also far less than what was expected of these Ancestors. In reconstructing and reviving our religions, the how and why we think and memorize will become more relevant. After all, if I was the head of a household leading rites, what things were assumed that I knew how to do? What about being a priest or shaman? This plays right into the ideas of worldview. How we think of ourselves, how we relate to one another, and how we live in this world, all affect how we think and why we retain the information we do. It adjusts our internal filters for what information is relevant, what stories we remember, and how we understand our place in things. The godhi/gydhja portion of the Soul Matrix is perhaps the one thing of the whole Matrix that is uniquely our own. Translating to priest or priestess, and historically relating to both priests and chieftains, the godhi/gydhja in the Soul Matrix is our full spiritual potential, the Higher Self. Our own chieftain, if you will. However, how we come to that chieftain is entirely dependant on those in our life, and those who help us connect well with that Higher Self. So even this portion is one that I see as very hard, if not impossible to understand, without the requisite help every other Soul Matrix part has had in coming about to us. Fylgja are spirit guides and/or allies that may or may not be Ancestors, and can be Gods, and vaettir of various kinds, such as dvergar, trolls, jotun, etc. Kinfylgja are spirit guides or allies as well as the collective spiritual power and wisdom of the Ancestors, respectively, <requires a spiritual community. The way I understand both terms of the Soul Matrix is that these are inherited, especially with kinfylgja, from one’s blood and spiritual forebears. These terms really do not exist without community. 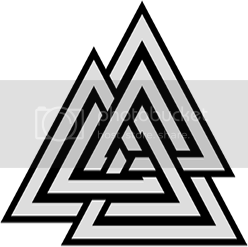 One’s spiritual outlook either bars or includes certain kinds of fylgja, and kinfylgja is utterly reliant on one’s Ancestors as to who is part of this portion of the Soul Matrix. My maegan, my personal luck and power was gifted to me by birth, and helped to grow through the teaching and guidance I received first from my parents, and later, spiritual elders and my own self. My hamgingja, group luck or power, likewise, was gifted to me by my folks, was helped to grow and develop through my spiritual elders, and the applications of all these things to my life in relationship with all those who are within those bonds of hamingja. The ve in the Soul Matrix is what Raven Kaldera refers to as “your Spooky” or innate psychic ability. Ve relates to places that are sacred; the word is found in placenames that were held as such, and its etymology connects it right to the words for sacred and consecration. We develop an understanding of what is sacred together as a community. As for its meaning within the Soul Matrix, one’s innate psychic ability is inherited, and from there, it may be developed. Wod, one’s ability to enter into altered states of consciosness or, as Kaldera puts it, “merge with Divine Consciousness”, is similar to ve, in that the innate ability is inherited and can be worked with from here. The final two parts of the Soul Matrix are orlog, meaning old law and relating in the Soul Matrix to our individual threads within wyrd, and wyrd itself, where we are in the overall tapestry of creation and our destiny within it. We cannot weave our orlog or our wyrd alone. It is an impossibility. We inherit both of these parts of the Soul Matrix from our Gods, Ancestors, and vaettir, and weave it within those of our community, and also weave it with those outside of them. Every decision we make, every thing we do is woven into orlog and wyrd’s unfolding. With all this in mind, I’ll be heading into Part 3 and reacting to Nick’s own article.